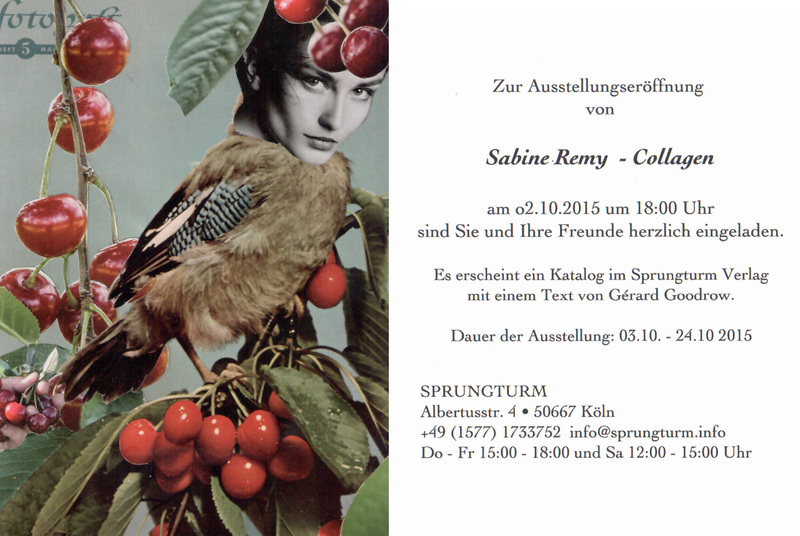 I friendly invite you to my upcoming solo show at SPRUNGTURM on 2. October at 6 p.m., Albertusstr. 4, Cologne, Germany. The show is running till 24. October. Opening hours: Thursday – Friday 3 – 6 p.m. and Saturday at noon till 3 p.m.
A catalogue accompanying the exhibition is published by Sprungturm press, containing a text by Gérard Goodrow. Wow, this looks so cool Sabine! I hope you have a lot of succes and of course a lot of fun with the Ausstellung! Thank you very much, Josephine, for your good wishes! Much appreciated! da hast du ja ein besonders schönes titelbild ausgesucht! viel glück und viel erfolg bei deiner ausstellung! Danke, liebe Mano – gute Wünsche kann man immer gebrauchen!